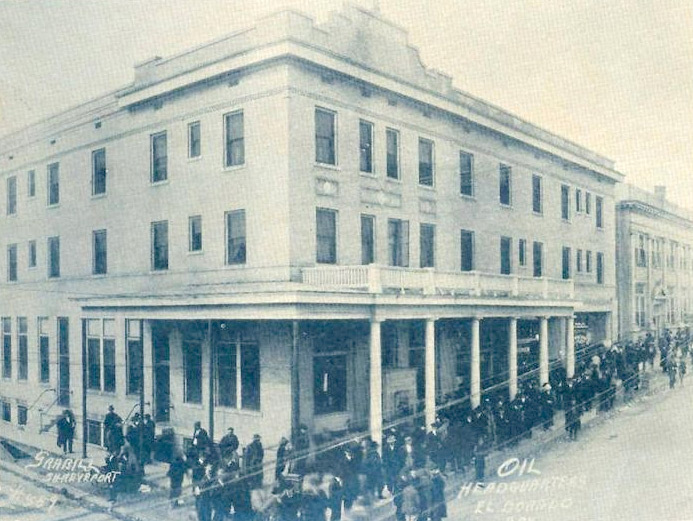 The Garrett Hotel in the 1920's was a key location for many of the oil entrepreneurs, who used the hotel as their headquarters. H.L. Hunt checked in with 50 borrowed dollars – and launched his career as a successful independent producer. The South Arkansas Historical Preservation Society is a 501c3 organization. Funds are raised through donations, membership and rentals. Support is also provided by the Proctor Hill Fund administered by the Union County Community Foundation. Please consider becoming a member today! Sign up to be a member by filling out this form and then making your first annual donation below. Thank you! A published list of Preservation Society Members appears in the newspaper annually, quarterly newsletter, and on a panel display in the Newton House Museum. To become a member, click the link below, download and print the membership form (pdf). You may bring it by the office or mail it in. Make checks payable to "South Arkansas Historical Preservation Society"